AcYut 7 featured the same mechanical design as its predecessor, but with significantly upgraded software. This was the first model to feature the onboard Intel NUC (Next Unit of Computing), running the Ubuntu operating system. A new behaviour framework was incorporated, with the XABSL engine (eXtensible Agent Behaviour Specification Language). The Walk, Image Processing and Localisation code went through several changes. 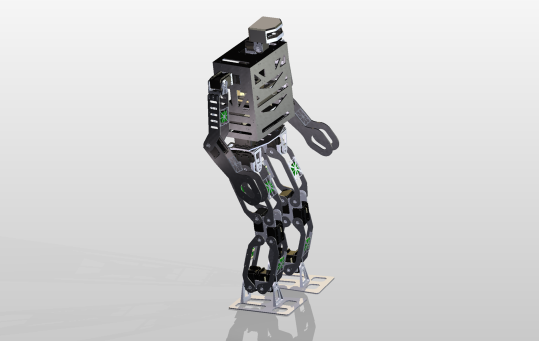 AcYut 7 participated in the RoboCup 2015 in Hefei, China, and stood 6th. AcYut - meaning 'The Imperishable' in Sanskrit, is the name of the series of humanoids being developed at the Centre for Robotics and Intelligent Systems by a team of undergraduates under the guidance of Dr. B.K. Rout at the Birla Institute of Technology and Science, Pilani, India.